Trada Casino is a decent option for Canadian online casino players looking for casino websites with attractive no deposit free spins deals. New registrations at the casino are eligible to claim a juicy no deposit free spins offer. If you decide to sign up at Trada Casino today, you’ll receive 10 no deposit free spins to be used on the Wolf Gold slot by Pragmatic Play. This means you’ll get 10 free spins free of charge just for signing up! What makes this deal more exciting is the fact that there are no wagering requirements. Although the casino’s sign up spins usually come with a 40x wagering requirement, this one is wager-free! So, if you manage to land a win when using the 10 no deposit free spins, the winnings are yours to keep! Check out Trada Casino to try your luck now! Fun Casino is a dazzling online gaming site for Canadian players looking to start their online gaming adventure with generous no deposit free spins. The fun begins as soon as you start to sign up because a nice welcome package is waiting for you. Free spins are a great way to begin your journey as an online casino player. For that reason, Fun Casino is offering a pleasant no deposit free spins offer to new players. To help you start things off, the casino will reward you with 11 no deposit free spins to be claimed on Starburst, Fin & the Swirly Spin, Wild Wild West, and Joker Pro. Wins from free spins are counted as bonus money and must be wagered 50x before you are allowed to make a withdrawal request. To learn more about Fun Casino’s no deposit free spins, check the relevant terms and conditions. Videoslots.com is another amazing online casino site for those interested in no deposit free spins on signup. All you need to do is to open an account and claim your no deposit free spins offer. Once you register at Videoslots.com as a new player, the casino will put a smile on your face with 11 free spins that can only be claimed on Rook’s Revenge. These are no deposit free spins because you are not required to make a deposit to claim them. The only thing you need to keep in mind after signing up is the casino’s free spin wagering requirements. All winnings from free spins will be moved to your bonus balance which must be wagered 40x within 24 hours before you are allowed to cash out. Also, the maximum cash out amount is €10. Don’t forget to read the casino’s general terms and conditions. If you love lucrative no deposit free spins, you can’t afford to miss out on what 21 Casino is offering to Canadian players and other players across the globe. To get you started, 21 Casino is offering 21 no deposit free spins to be used on the famous Book of Dead slot game. In simple terms, you’ll receive 21 bonus spins just for signing up! 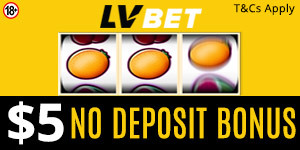 Like most no deposit welcome offers, there are wagering requirements to be met when claiming this offer. The bonus money earned from the free spins must be wagered 35 times before you are allowed to withdraw it in the form of real cash. Also, bonus winnings from the casino’s no deposit free spins offer are automatically capped at €100. Other important bonus details can be found in the general terms and conditions section. Casino.com boasts one of the best no deposit free spins offers you’ll find at a Canadian online casino. This online casino welcomes new customers with 20 no deposit free spins to be used on Age of the Gods slots only. Any amount of money earned from the free spins must be wagered 20 times in order to withdraw your winnings. The casino’s general terms and conditions still apply, so it’s important to read them before you claim your bonus. At Slot Planet Casino, new players receive €10 once they sign up and no deposit is needed. Since the casino’s no deposit welcome offer is in the form of cash, players can turn it into no deposit free spins by using it to play online slots. Bonus money winnings from the no deposit bonus are capped at €100 and must be wagered 35x before they are converted into money that can be withdrawn. As usual, remember to check the applicable terms and conditions before claiming no deposit free spins offers at online casinos.